Earlier this week I broke a story–before Tudor officially launched the new Retro Heritage Blue Chrono–that showed off pictures of the all-new Retro "MonteCarlo" Beauty, and here are official photos from the BaselWorld Introduction. 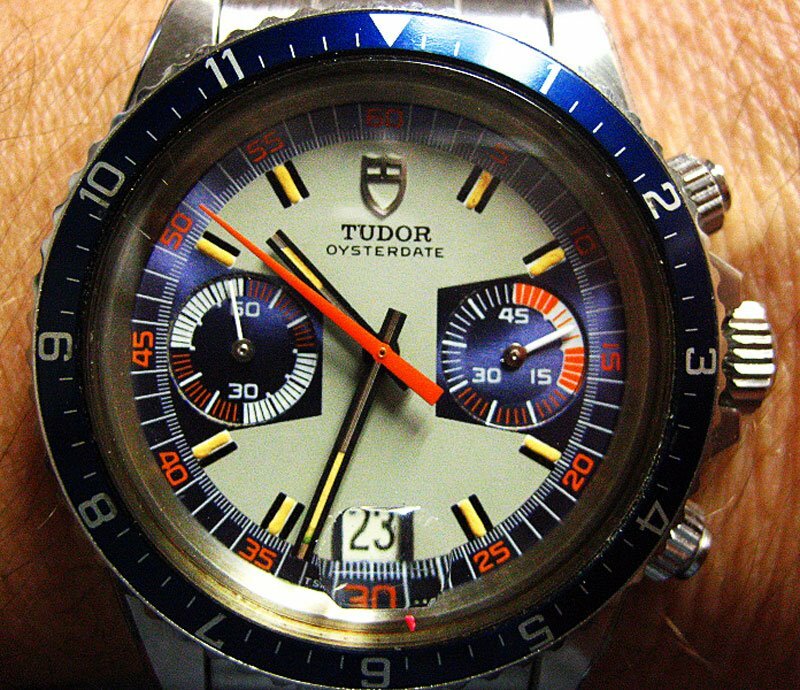 This all-new Tudor Heritage Chronograph model is based upon the original Rolex Tudor Reference 7169, which is pictured below in a photo that appears courtesey of my good pal, Eric Ku. This is a great shot that Arty took of his very colorful Tudor, Monte Carlo, which has developed a crazy metallic purple patina over time. 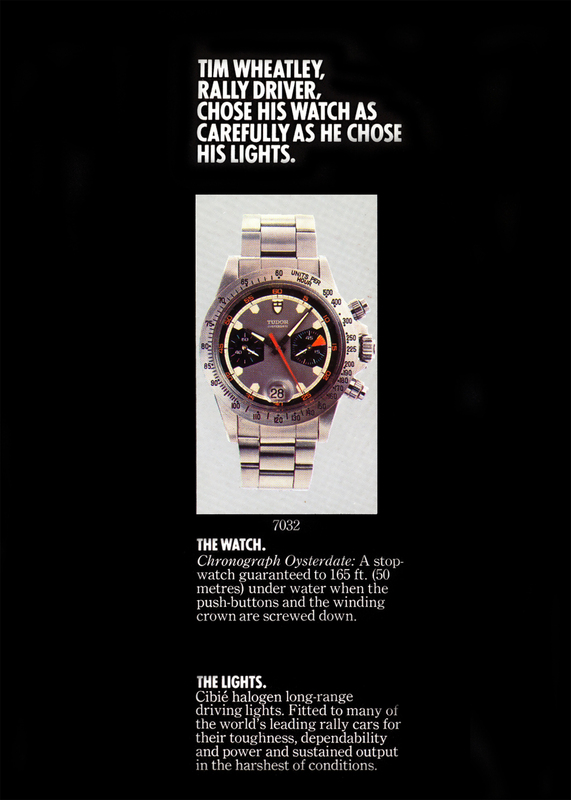 Rolex owns Tudor and historically Rolex has taken more design risks with Tudor design, and it shows with this fascinatingly colorful watch. 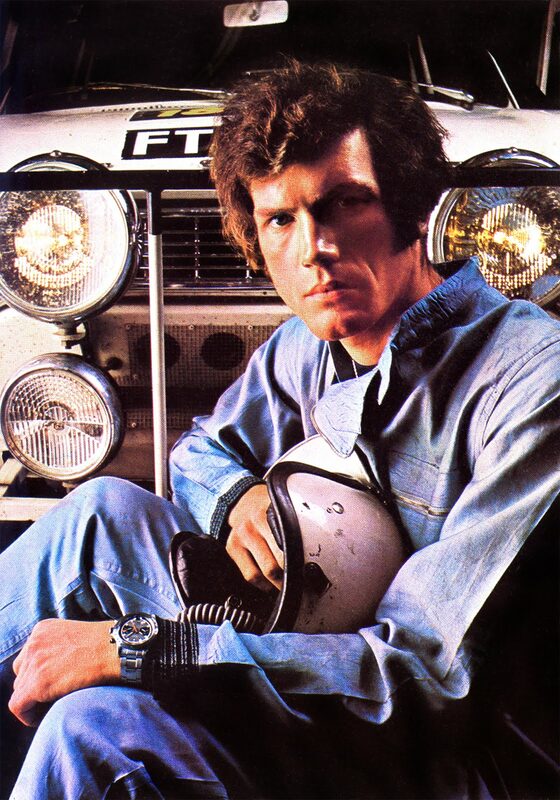 With all the interest around the all-new, retro Tudor Heritage Chrono that was introduced at BaselWorld Eduardo Raffelli from Buenos Aires, Argentina, who is a daily reader of Jake's Rolex World decided to send in this 1973 Tudor Oysterdate Chronograph Brochure from his collection. 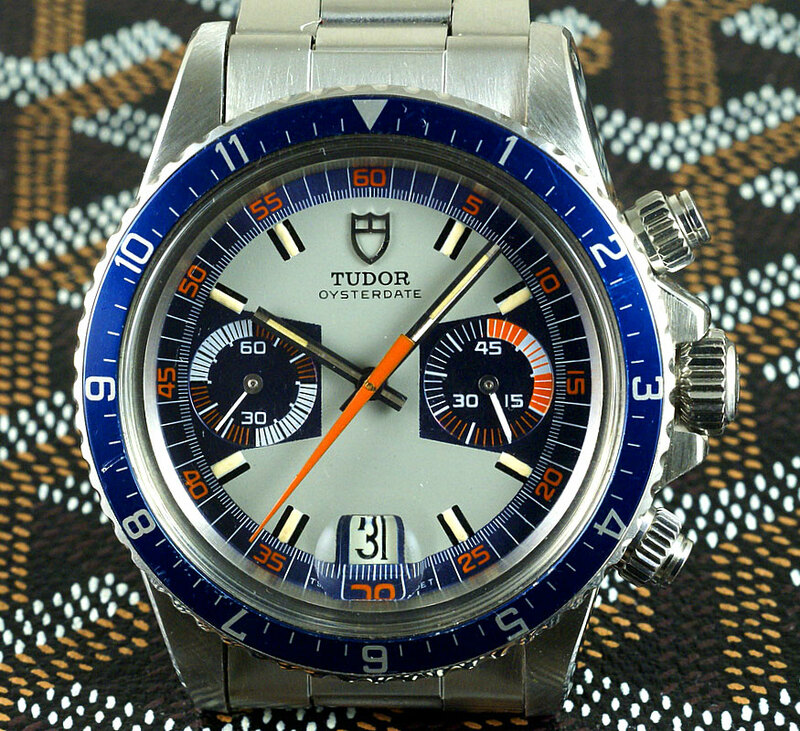 Eduardo pointed out that in 1973, the Tudor Oysterdate Chronograph Reference 7032 sold for 480 Suisse Francs, which is $450 in U.S. Dollars. 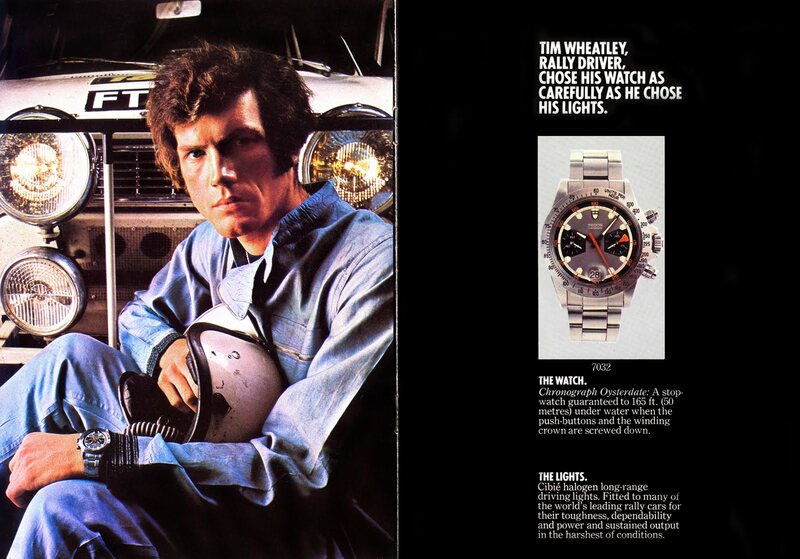 The two images pictured above are from the brochure (pictured below) so you could see more detail. 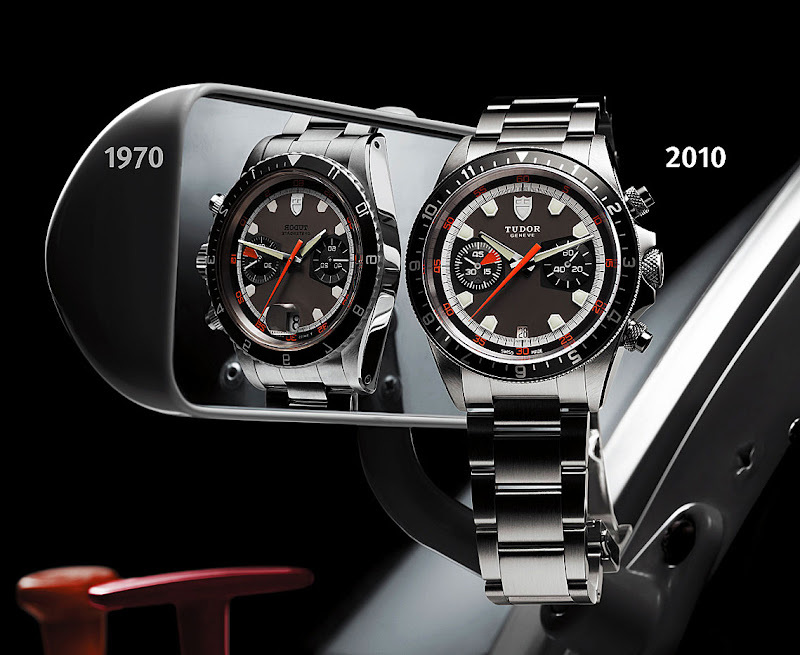 The all-new, retro Tudor Heritage Chrono is based on the original 1970 Tudor Chronograph Oysterdate and you see them side by side in the photo below. 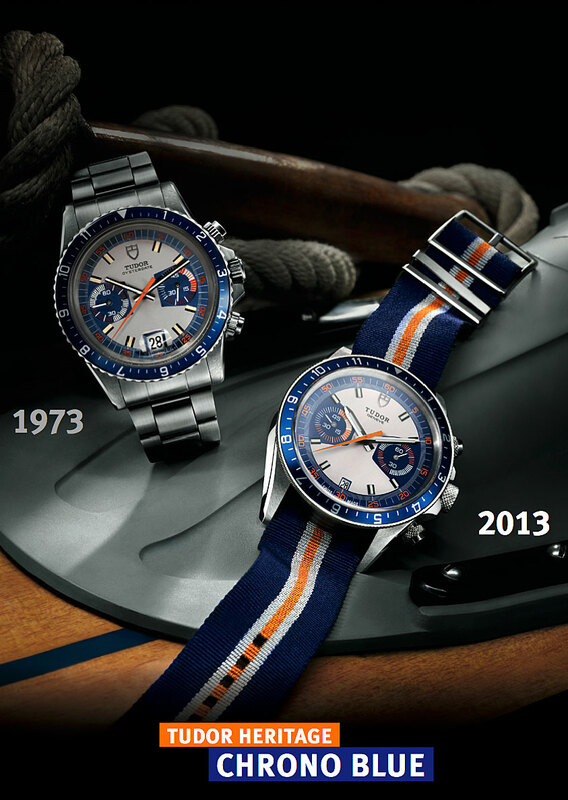 The original 1970 version was 40mm and the all-new version is 42mm.